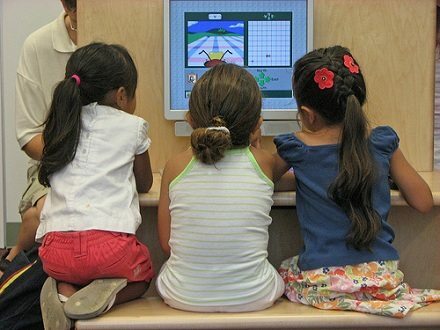 A federally mandated fund designed to bridge the digital divide between rich and poor communities is coming under scrutiny for not directing much-needed broadband subsidies to schools and libraries in low income communities while disproportionately benefiting telecommunications companies. At the heart of the controversy is the Universal Service Administrative Company (USAC), the nonprofit corporation that administers the fund. Comprised of industry board members and staff, USAC provides a glimpse into the turbid waters of federally mandated public/private funding pools, and the need for clearer oversight. Amidst all those charges at the bottom of one’s phone bill is one labeled “Universal Service Fund,” or USF. These dollars and nickels from each consumer’s monthly payment combine to create a pool of funds that totaled about $8.1 billion last year. Congress created the fund 15 years ago in part because of the actions of consumer advocacy groups. The law directs, among other things, that a portion of the money (about $2.5 billion in 2011) subsidize telecom and Internet services for disadvantaged school children and library users under a program called E-rate. However, the bulk of E-rate funds go toward carriers to provide external connectivity to qualifying schools and libraries, with little to no money remaining to connect the classrooms and halls inside. To protect against fraud and abuse, the E-rate law requires that telecom companies provide the “lowest corresponding price” to qualifying schools and libraries, meaning they can’t charge more than they charge non-subsidized commercial subscribers. But lawsuits and other legal actions in Indiana, Wisconsin, Michigan, and New York have alleged that AT&T and Verizon have charged school districts rates that were two to three times more than rates they charged to similar customers or more than what the program allowed. The Federal Communications Commission, which oversees the fund, has yet to bring an enforcement action against any carrier for violating the E-rate low-price rule. And despite requests from industry, USAC, the entity that administers the fund, has provided little if any guidance to companies on how to apply the best-price rule.